ACI One includes smarter, faster, and better features to improve your appraisal productivity. Appraisers are raving about ACI One’s Launchpad, advanced forms management, the weighted value calculator, express MISMO® XML delivery, smart merge cloning, improved UAD helper windows and new gPAR forms. Launchpad is a new window into your files. Like an expanded view into your Track and File Lister records; the ACI Launchpad allows for more powerful search options (ability to search within all the Order fields rather than per category); while still offering custom view and search schemes like File Lister. The grid layout has been improved for readability and now features a new Preview panel on the bottom half of the Launchpad that allows you to peek inside a report file to see the order summary, subject photos, billing data; or even a preview of the appraisal report itself with every page displayed. Launchpad still allows you to create new reports and open existing reports with ease; and you can expect to see further changes as we add features to Launchpad and ACI. 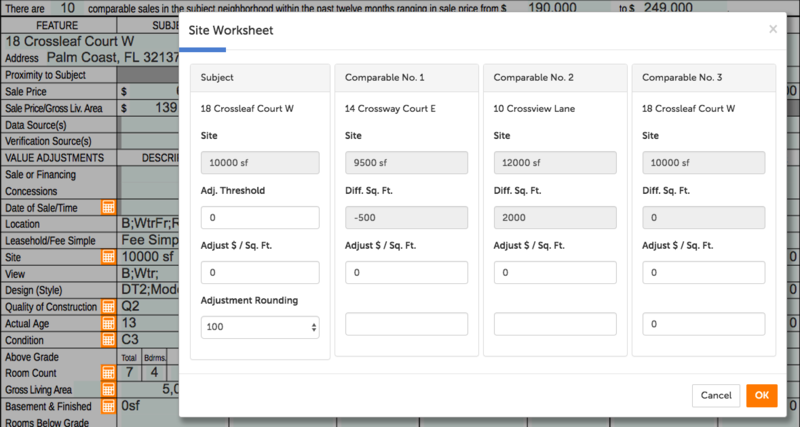 Provided as a tool to assist you when determining an Indicated Value by Sales Comparison Approach, this worksheet displays a summary of each comparable’s net and gross values along with corresponding weights. The weight is calculated using the ratio of a comps gross adjustment percentage to the overall gross percentage. Comps that have lower gross percentages are assigned a higher weight, and comps that have a higher gross percentage are assigned lower weights. The weights are then applied to each comparable’s adjusted value, the sum of which provides the overall weighted value. Select the Copy button to attach a copy of the worksheet to your clipboard, you can then include the image in Extra Image Pages, Documents or even email programs to show your work. The express MISMO XML Delivery in ACI One streamlines the review, packaging, and delivery of your appraisal reports. Intuitive rules selection and FHA detection helps you maintain compliance with industry requirements. There is also an eService option to bypass the Validation and Print steps, so you can zip right through to delivery. ACI’s vast library of over 500 forms is impressive, but it’s also a lot to sift and sort through when looking for an addendum. 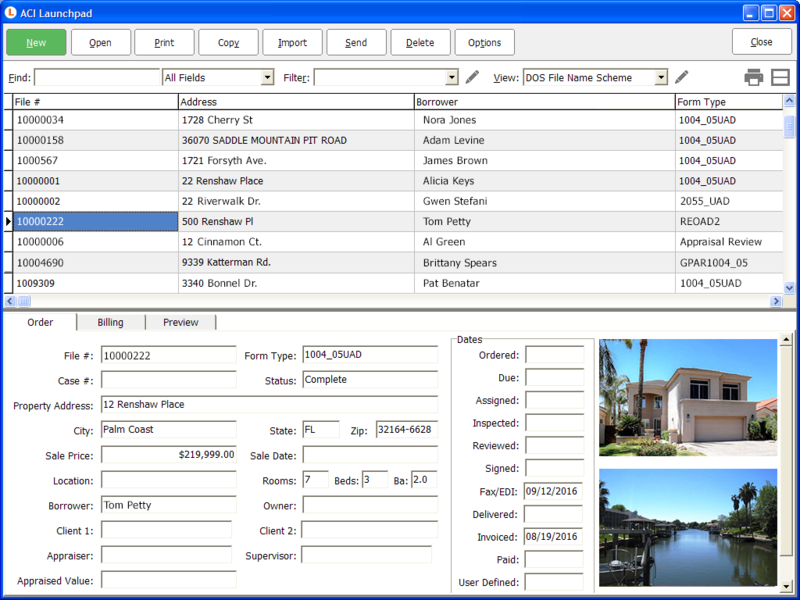 The enhanced forms management tool that provides the ability to search and filter using pre-defined form groups. 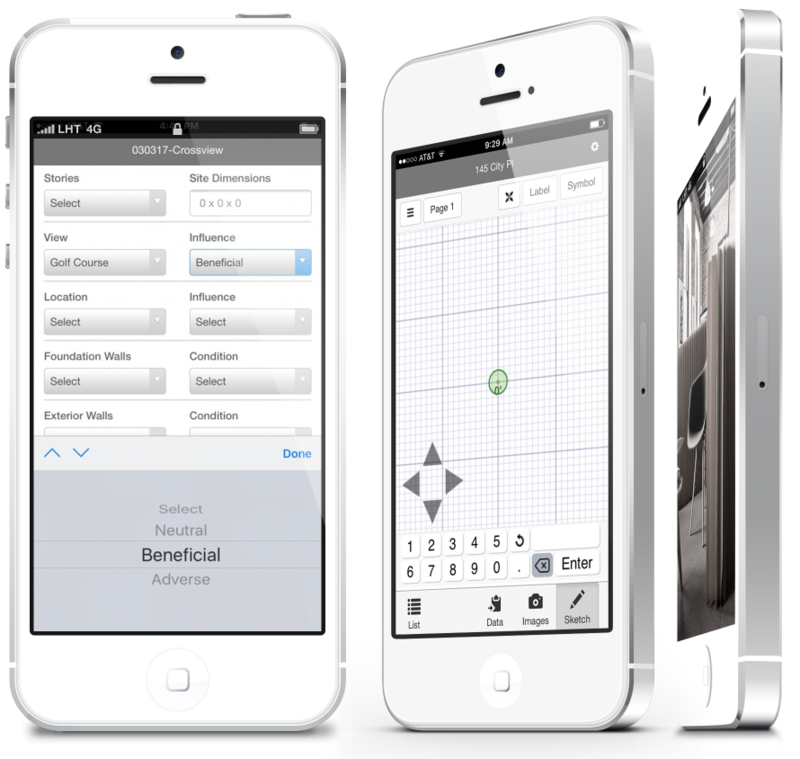 Additionally, you can create your own favorites list of frequently used forms for quick selection. The new Add/Remove also provides a form preview, or peek-a-boo to verify you’re selecting the right form. The new forms tool also includes some industry-exclusive functionality like user defined form groups and the ability to move multiple forms into a report at once. Smart Merge is a data extraction tool that leaves existing data on the form and will fill-in-the-blanks with data from another report. This comes in handy when you want to import data from a prior inspection or comparable. Just open an appraisal file as always, then from any field just right click and select Extract/Merge. Next, choose the source file/report and check the option to “Merge, keep existing data if import is blank” and — voila! — all the data falls into place! We improved the aesthetics, increased the text size for greater legibility, and expanded the comment areas so you can see more without scrolling. The modals also have support for big font settings on your PC and your field picklist the modal for quick access. ACI’s series of gPAR (General Purpose Appraisal Report) forms are great for non-lending assignments. There’s a new 2017 version of gPAR forms available that now support the Weighted Value Calculator. To access the new calculator, place your cursor in the Indicated Value by Sales Comparison Approach and select the calculator icon. ACI One is included at no additional cost for current subscribers. Just run WebUpdate to get started. As always, we’re here to help you, email onecall@aciweb.com or call 800-234-8727 if you have any questions. Our recent product enhancements have elevated security levels beyond the capabilities of legacy operating systems, specifically Windows XP and Vista. In order to enhance your user experience and help keep you compliant with the latest security essentials, our recommendations for browser and operating systems are listed below. The majority of valuation professionals run a Windows operating system, but only 10% are using the latest version. Surprisingly, some businesses are still on Windows XP and Vista. Windows ended support for Vista this past April and Windows XP has been unsupported for several years now, which means updates to protect against known vulnerabilities are no longer available. 10% of Internet Explorer (IE) users are running outdated versions including IE 8, 9, and 10. Microsoft announced in January that it would no longer provide security patches and updates to IE versions below 10. That means more security vulnerabilities will be publicized, unpatched and open to exploitation. We recommend moving to a browser like Google Chrome which receives automatic updates and patches. Chrome is also the best rated browser for HTML 5, which provides the highest compatibility for ACI Sky products. You can test your browser quality by clicking here. In the best interest of your business, it’s critical to update your systems to the latest version(s) supported by the manufacturer. If you are using an unsupported operating system and have questions regarding updates, please contact the ACI One Call team. All system requirements can be found on aciweb.com. Palm Coast, Fla. — ACI, a division of First American Mortgage Solutions, announced today a new integration of its ACI Sky™ Delivery and Sky Review technology with ValueLink Software (ValueLink), a leading provider of web-based valuation management software. Through this new relationship, lenders and appraisal management companies (AMCs) using the ValueLink platform gain access to more than 5,000 customizable collateral risk rules, dramatically speeding up the appraisal review process without compromising review quality or consistency. ACI Sky Delivery is a web-based appraisal delivery platform that applies dynamic rules to identify exceptions and render real-time results, including hard stops, prior to posting the file for further review. Sky Delivery leverages PAR® logic, ACI’s library of over 5,000 customizable collateral risk rules, including more than 1,200 rules designed to reduce exceptions and identify potential risks related to Uniform Appraisal Dataset as required by Fannie Mae and the Federal Housing Administration. ACI Sky Review is an appraisal review platform that empowers quality control professionals with an interactive window into the appraisal report. When issues require manual review, users can easily approve items, provide supporting commentary or issue a revision request to the appraiser through the software. Automated checklists document the remaining due diligence process and highlight any potential issues with the appraisal report. ValueLink Software is a provider of technology solutions to the real estate industry. The company offers a comprehensive web-based platform designed to help lenders, appraisal management companies and financial institutions manage the appraisal process for residential and commercial properties. With constant innovation and technology integrations, ValueLink has become the premier appraisal management platform on the market that is scalable and ensures compliance with the latest regulations. ValueLink was founded in 2009 and is based in Houston, Texas. For more information, visit https://valuelinksoftware.com. First American Financial Corporation (NYSE: FAF) is a leading provider of title insurance, settlement services and risk solutions for real estate transactions that traces its heritage back to 1889. First American also provides title plant management services; title and other real property records and images; valuation products and services; home warranty products; property and casualty insurance; and banking, trust and investment advisory services. With revenues of $5.6 billion in 2016, the company offers its products and services directly and through its agents throughout the United States and abroad. In 2016 and again in 2017, First American was named to the Fortune 100 Best Companies to Work For® list. More information about the company can be found at https://www.firstam.com. This weekend we give thanks, pay tribute and remember those who gave their lives to protect our country. In honor of Memorial Day, we will be closed Monday, May 29th. If you have a 24/7 subscription, our One Call team will be available. Otherwise, leave us a message and we will be happy to get back to you first thing after the holiday. ACI Sky now includes adjustment calculators, an inspection app for taking photos and collecting data in the field, and a Self-Service Center with a searchable database that links to “How-To” docs and videos. We’re excited to announce a new mobile inspection solution for ACI Sky. Automate data collection, photo capture and sketching in the field using Sky’s mobile technology on any phone or tablet with a browser without an internet connection. Sky Inspect is included with your ACI Sky Subscription at no additional charge. To learn more, view our help document. The adjustment calculators in Sky work very similar to the ACI desktop software. In order to use any of the new calculators in Sky, just click on the calculator icon to the left of the grid and set the thresholds to avoid applying a small adjustment if the properties differ just slightly. You can also apply rounding and quickly scroll through all of your comps to see how the adjustments appear across all comps. The new Self-Service Center is available via the Help button located at the top right corner of Sky Report. Click help and a search bar opens to provide access to documentation/videos related to your question. If documentation is not available for your particular question, you can submit questions to our contact forum, provide product feedback or start a chat session with a One Call team member. More time-saving features and functionality are being pumped into ACI Sky every month. To get the latest information about product releases, bookmark our What’s New page. As always, we’re here to help you, so please email onecall@aciweb.com or call 800-234-8727 if you have any questions. Free HousingWire Webinar: What’s Going to Happen to Appraisers in 2017? Are new policies surrounding appraisers helping or hurting the industry? What’s next for the appraisal industry in 2017? How fair and reasonable are AMC fees? What is being done to encourage new faces to enter appraisal markets? Some have argued that GSE forms can be used for non-lending purposes if the appraiser makes clear and prominent countermanding statements identifying the actual intended user(s) and intended use. From a strict USPAP perspective that can be acceptable but there is no guarantee that an individual State Regulatory Agency would agree. 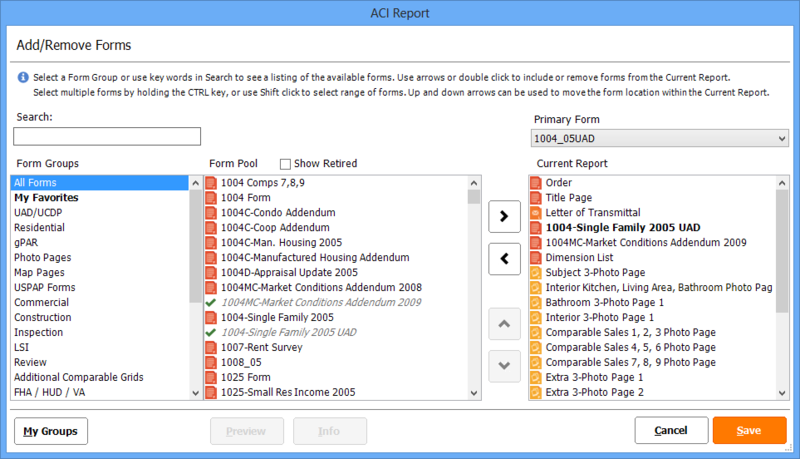 When the GSEs changed the forms in 2005, ACI was the first appraisal software vendor to provide a suite of non-lending forms. The GPAR forms gave the appraiser full control over identifying intended user(s) and intended use. ACI also removed unnecessary language in the forms that was specific to lending use and added numerous limiting conditions to reduce appraiser liability. While many appraisal software vendors merely mimicked the GSE forms other than intended user(s) and intended use, virtually all followed ACI’s lead with some sort of non-lending forms, meaning that now it’s simply unnecessary for an appraiser to use a GSE form for a non-lending assignment. But what if the intended user is a lender/client and the intended use is at least related to the original mortgage lending transaction? Removal of private mortgage insurance (PMI) is a good example. On page one of the form in the “Subject” section the “Assignment Type” data field allows three options: Purchase Transaction, Refinance Transaction and Other, with some blank spaces after Other. So for a PMI removal assignment, the appraiser can check the Other box and insert “PMI removal” in the blank space. The intended user and intended use are still consistent with what is printed on the form. Additionally, the scope of work for the assignment is consistent with what is printed on the form. Suppose though, that the intended user is a lender and the intended use is related to the original transaction, but the scope of work is not totally consistent with what is printed on the form? The most common example of this is when the lender needs to make a decision related to a property in foreclosure and the occupants will not permit access to the interior. If the property type is a house or a condo, the client can simply order the assignment reported on an exterior-only form like the 2055 or 1075. But what if the property type is a 2-4 family dwelling for which here are no GSE exterior-only forms? The first option might be for the appraiser to suggest the use of a general-purpose form that does not have pre-printed language stating the appraiser completed an interior inspection. The appraiser can then report a scope of work that makes clear the inspection was limited to exterior-only. But some clients want to use the GSE form because it’s a familiar format with which they are comfortable. In such cases, even if the appraiser argues for the use of a general-purpose form, the client may insist on the GSE form. The appraiser is then faced with decision involving the use of countermanding statements. Can it be done? The GSE form states the appraiser must “perform a complete visual inspection of the interior and exterior areas of the subject property…” Some would argue that the use of a form with those statements would “lock-in” the appraiser to what is written on the form. Some may add that Fannie and Freddie “own” the forms and as such, they cannot be changed. Others will claim that countermanding statements are inherently misleading. Understand that a form is simply a format for reporting an appraisal assignment. If the assignment conditions were such that GSE guidelines were to be met, then countermanding statements would not be appropriate as Fannie and Freddie will not accept such a report. However, if GSE use of the report is not an assignment condition, GSE requirements do not apply. The GSEs do not “own” the forms. While they developed the forms, neither Fannie nor Freddie have copyrighted the forms or claimed they should be used exclusively for GSE-related work. If the client is the only intended user, is asking for the use of a specific form, and agrees to a countermanding statement, it would be difficult for anyone to legitimately claim the intended user was being misled. Remember, USPAP requires appraisers to avoid misleading intended user(s) but imposes no obligation on appraisers to avoid misleading a “reader” or any party other than intended user(s). For additional information on “misleading” see the previous blog on that issue. You’ve likely been there. The sales contract is changed after the effective date of the assignment and the client then asks you to reflect the revised information in your (new) report. You must then review the new contract and summarize your (new) analysis. I’ve blogged on this scenario in the past regarding whether this constitutes a new assignment or just a new report. Perhaps now this nuisance issue will largely become a thing of the past. On December 6th Fannie Mae published announcement SEL-2016-09 which should make life a little easier for appraisers. Essentially, if the sales contract is changed regarding the sales price or seller concessions, the lender is no longer required to forward that information to the appraiser. Fannie Mae is apparently recognizing that changes to seller concessions or sales price don’t affect the opinion of value. If, however, the contract “is amended in a way that affects the description of the real property used by the appraiser, then the lender must provide the updated contract to the appraiser and the appraisal should be updated.” Note that “updated” in this context would amount to a new assignment, not just a new report. Here’s an excerpt from the announcement. Currently, we require the lender to provide the appraiser with all amendments made to a sales contract, including amendments that are made after completion of the appraisal. With this update, we have clarified when the appraiser must be provided with updates to the sales contract and circumstances that warrant updates to the appraisal. For example, if the contract is amended in a way that affects the description of the real property used by the appraiser, then the lender must provide the updated contract to the appraiser and the appraisal should be updated. However, minor updates to the contract, such as changes to seller paid closing costs or changes to the contract price, do not require an updated appraisal. In addition, we have updated the policy to require disclosure of changes to financing information (such as loan fees and charges, and subordinate financing provided by interested parties) to the appraiser only for purchase transactions.